Find your dream Perodua car today at Carsnip. We’ve got over 17 used Perodua vehicles available, and our intuitive search system means that you can make the best decision in the easiest way. We’ve made buying your next car easy. Browse over 17 vehicles below. Malaysian carmaker Perodua specialises in compact, low cost vehicles that are great for driving around town. The Myvi, for example, is a cheap, compact vehicle. Its reliable 1.3-litre Toyota engine will get you 86bhp and returns 50mpg. 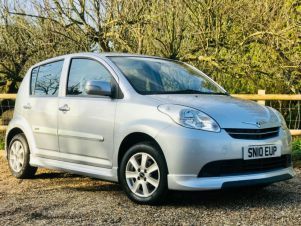 The Kelisa, a similarly small car, is available for good prices and boasts enviable running costs. Although the range is generally of good build quality, some issues with refinement can make for noisy motorway driving.